I am in such a reading slump at the moment, I was very nearly going to have to find a teaser from the same book as last week. Luckily, I read the last few pages at lunchtime. I don't normally read at lunch time because I am always a bit worried about losing track of time! On Sato's command, the pilot performed a "touch hover" on the roof of the tallest building around - the renowned One Franklin Square - a towering and prestigious office building with two gold spires on top. The maneuver was illegal, of course, but the chopper was there only a few seconds, and its skids barely touched the gravel rooftop. Now if only I knew who Sato was! I have only finished two books so far this month - unheard of for me. Normally I read 13 or 14 books, if not more, every month, but I think it is fair to say that it is not going to be anywhere near that many this month. I hear great things about this book. Can't wait to read your opinion. I'm in a reading slump, too. Plenty of books around, but no time / motivation to read. I just finished this book and I loved it. My review is posted. If you want to wander down my road I’m home. My reading is totally in shambles! Oh good maybe I can catch up to your books read ;) Just kidding. I hope your reading slump is over soon. And, looking forward to your review of this one. 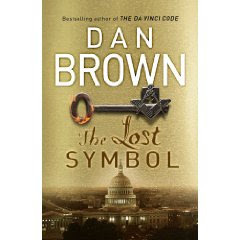 I'm not really a Dan Brown fan but I always give authors a second or third chance anyway. Good teaser.This one's on my list, but it'll probably take me a while to get around to it. Great teaser Marg! You're making me want to know who Sato is too! Looking forward to your review of this. Seems like a lot of us are in some sort of slump right now. Nice to see I'm not the only one. First day in the new job.